Listed below are the main insurance services available to residents and business owners located in Orlando, Fl.. If the insurance service you are looking for is not listed below, or if you would like more information about our packages or rates, please do not hesitate to contact us. If you own or are leasing a car, truck, motorcycle, motor home or any other vehicle that you take out on the road, you are required by law to be insured. Aggressive Insurance Inc can help you figure out just how much coverage is right for you. Home is where the heart is....but it is also where you are, where your family is, and where you keep most of your hard earned valuables. You and your family should feel safe at home, and if your home is in the Orlando, Fl. area, Aggressive Insurance Inc can help. No one wants to think about the worse, but the sad truth is that people die every day. Health insurance can't bring loved ones back, but it can certainly help their family get back on their feet. You know with out a doubt that you need proper insurance. From casualty insurance to employee health plans, you can count on Aggressive Insurance Inc to offer the best corporate insurance services at very affordable rates. 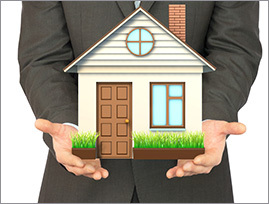 Choosing the right home insurance package can be tricky. If you own a home in Orlando, Fl., Aggressive Insurance Inc can help you make the most of your investment. Contact us today to discuss your home insurance needs, and we will gladly schedule a free consultation with you.